So, you’re a nice parent. You want to show your gratitude. After all, that teacher has looked after your precious child all year! But you’re also a realist. What gift can you buy for $20 … because no teacher needs another 20 mugs (or scented candles). A group gift for the teacher would be much better – and everyone can spend a little less but give something really good. But ugh … how can it happen without the hassle! As one mum said “I don’t have time to stalk parents in the playground!”. If you’re going to give a gift, 73% of teachers preferred a group gift; ideally a gift card. 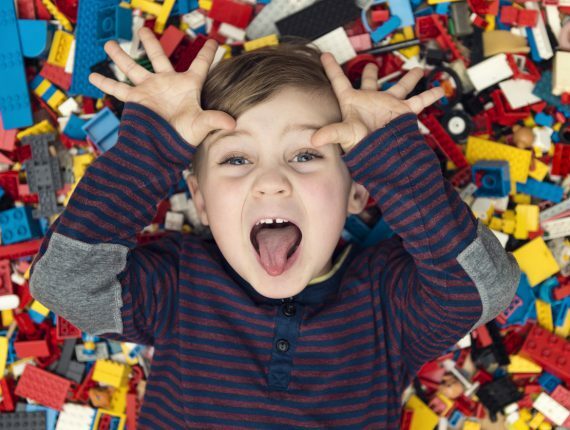 However, for more gift ideas, check out our blog ‘Best & Worst Gifts for Teachers’! Here’s how to organise a group gift without the hassle. Two Sydney mums invented GroupTogether.com. You just create and share a link with the parents and they pay online and sign the card. It does the heavy lifting – the inviting, reminding, collecting, tracking and then sends you the money or a gift card. Set it up EASILY in 2 minutes from your phone or computer. No tech knowledge or design skills required. It’s free to set up. It’s free if you convert your gift collection into a gift card. If you’d prefer to buy your own gift, the money can be transferred to you. It’s only 2% + 25c per contribution. That’s 65c for a $20 contribution. PRIVACY AND SAFETY – We’re two Sydney mums with 7 school children between us. We understand the privacy issues! We don’t share your pictures or your emails. ARE TRANSACTIONS SECURE? – We don’t store credit card details. Transactions are encrypted to the highest level. Credit cards are processed by SecurePay and bank transfers by Poli, both owned by Australia Post. FEES – Use promo code – Skoolbag to collect Fee Free for a gift from one of our retail partners. Or if you want us to transfer the money to you, it’s only 2% + 25c per contribution. That’s 65c for a $20 contribution. GOT MORE THAN ONE TEACHER? 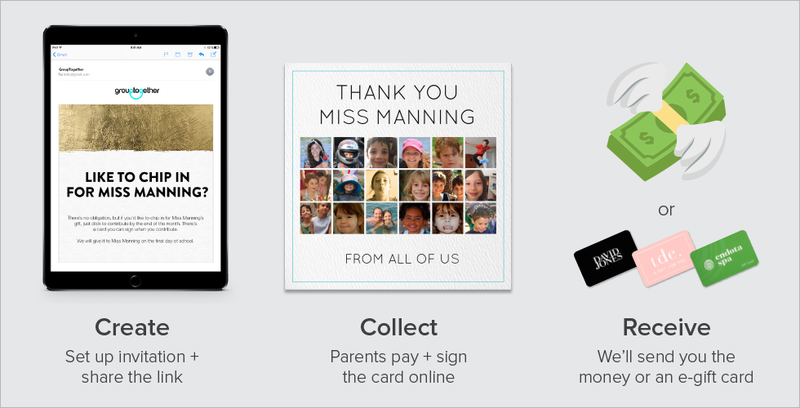 – There’s one card that parents can sign per collection. So, either write a title like “Thank you Miss Manning, Mr McGoo & Miss McGee” or create a separate collection for each recipient. WHAT’S THE AVG AMOUNT THAT PARENTS CONTRIBUTE? – Most classes state on the invitation “There’s no obligation at all, but if you’d like to contribute …“. You can either specify a set amount or leave it open and suggest a range. Generally we’ve found that people collect about $20 per child for a teacher but it’s up to you. CAN YOU PRINT THE CARD? – Yes. It’s super cute! Print it at home or take it to be printed on card for about $2 at Officeworks. HOW LONG DOES IT TAKE FOR PEOPLE TO CONTRIBUTE? – Give people as long or little as you like. We find that sometimes short times (2 -3 days) can work a treat to get people moving. After all, they can pay online from their phone via direct debit or credit card. WHICH CARDS DO YOU OFFER? – The brilliant thing is that we let the recipient (teacher or friend) choose. We send you a voucher to give or forward. The teacher clicks the link, a smart gift box magically opens and lets them choose the gift card they really want.